Road safety has long been at the forefront of the FIA's agenda. The FIA has strengthened its advocacy actions following the launch of the UN Decade of Action for Road Safety in 2011 and the adoption of the new UN Sustainable Development Goals, which aims to halve the number of global traffic fatalities by 2020. In May 2017, the FIA adopted a new Golden Rule, “Check Your Vision”, acknowledging the importance of sight in road safety. This represented a big step in raising awareness on poor vision as a major public health issue. In September 2017, Essilor announced its partnership with the FIA and joined the “Action for Road Safety” campaign. 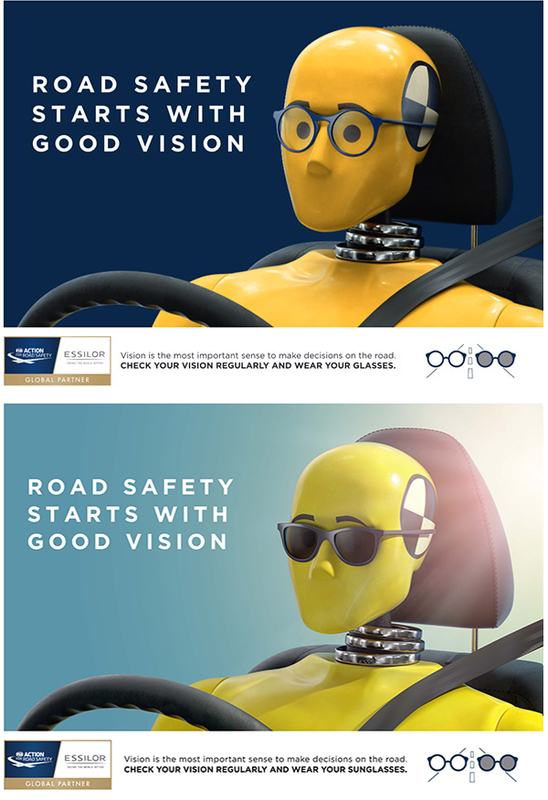 Together, Essilor and the FIA want to promote good vision as a key pillar of road safety through wide awareness-reaching campaigns, starting with the promotion of the new Golden Rule. One common goal: fight road deaths and injuries by improving road users’ vision. Through this partnership, Essilor and the FIA are combining two objectives into one common ambition for the greater good: ensuring safe mobility for all by improving people’s vision. Today, poor vision is the world’s most common disability (1), with over 2.5bn people (2) still suffering from uncorrected vision problems. This has significant social and economic costs, estimated at $272bn in lost productivity globally (2). Lack of awareness about visual health, undiagnosed vision problems and a lack of access to quality care in some regions have resulted in a global vision crisis (3), even though 80% of all visual impairment can be prevented or cured (4).